Read PART 1, read PART 2 below or access the full version via google documents. To access all of the tweets with the hashtag #sctweetchat, click here. To read PART 1 of the transcript click here! Game changer. Love it. 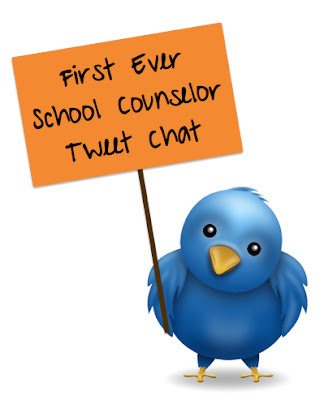 @RT @ecmmason: @ASCAtweets @sch_counselor go to #sctweetchat. It was AWESOME. Total game changer. @ImPEARLfect_Me Good luck to you! I'm always more than happy to share. Use #schoolcounselor or #sctweetchat to connect with others too. @ASCAtweets @sch_counselor go to #sctweetchat. It was AWESOME. Total game changer. Thanks everyone for participating in the 1st Ever #Sctweetchat! Stay tuned for announcements of the next one! @MSWchildfamily #sctweetchat Self-Esteem Shop, Youthlight for stuff. Must have for me was a small hand held puzzle for kids k-12. @jenniferg92 #sctweetchat..not gonna lie,, I do that..must stop now.. be the change! @juliavtaylor #sctweetchat you have strengthened my commitment to no "g" word in my office this year! @SchoolCounslr #Sctweetchat A very sad state of affairs. Same here.